A very quick update from me for #inktober. 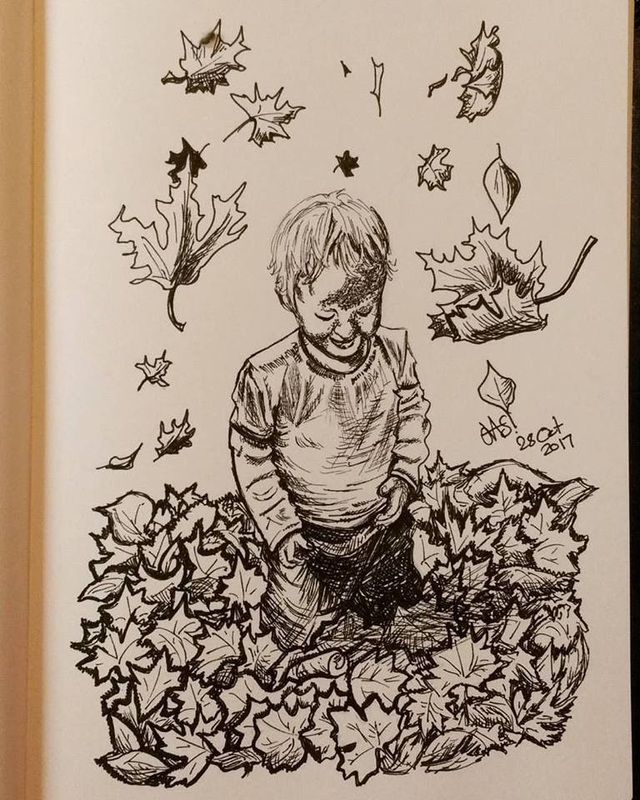 We had a full day yesterday, Christmas shopping and we picked up a pair of winter boots for M. The evening saw us helping some family friends celebrate their wedding, so it made for another late night drawing session. 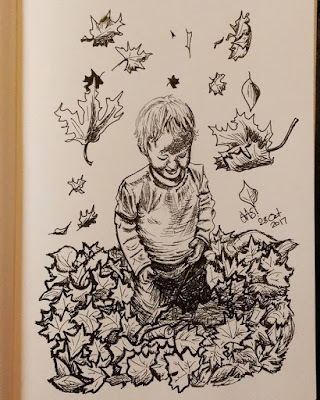 The prompt was 'fall' which I decided should mean both falling and autumn, hence I drew the following which is loosely based on a photo of M when she was a toddler. It didn't turn out too badly, but I'm not sure about the shading, something I find very difficult to do with an ink pen.